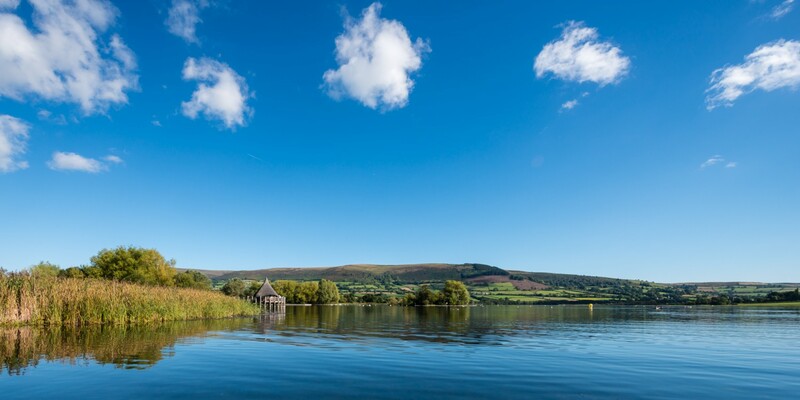 Fancy ending your season in the Brecon Beacons? I’m always on the lookout for double Olympic distance events with off-road runs as I prefer the Olympic ratios compared to Ironman ones. My searching for such events discovered Llangorse. I’m not sure if I’ll be able to compete this year as I’m doing Helvellyn in early September too. If not, I’ll certainly earmark Llangorse for next year. What would be helpful (for those of us who like our triathlons to have long swims, off-road runs and not too many competitors!) is if you could suggest other similar O2 length events. The only other one I’ve come up with so far is Tri-Athy but that’s a big event and the run is a bit too ‘roady’. I guess there’s a call for calmer, quieter events too, without all the hullabaloo that seems to have become popular in many events, especially the ones with big attendance. Many thanks for those suggestions. I’ve swum in Top Barn lake before and it’s a bit… how should I put it?… ‘swampy’. Actually that’s a bit harsh, it’s just that the weeds tickle you all the way and if your stroke goes too deep, you get a handful of silt. I’m not selling it too well, am I! The Swashbuckler looks a good race but still closer to IM70.3 distances and ratios. One that I did last year was Wensleydale which was billed as a longer swim and seemed to end up being even longer than advertised due to a bit of a mix up somewhere – fine by me – but the cycle route is hard: lots of 1:4 and 1:5 gradient climbs. The Isoman looks right up my street, with the half distance probably the most suitable. Be assured that Isoman Half and Llangorse are both now on my list of targets.